Jewish marriages in the first century were negotiated by the heads of the two families. The potential groom was expected to go the bride’s home to make the formal proposal of marriage. If she accepted (she could refuse), the couple were officially betrothed and it took a divorce to break it at that point (as in the Mary and Joseph story). Once engaged, the groom-to-be would begin work on an addition onto the family home for his new bride. The wedding could not take place until the work on the new place was completed… and the the fathers decided when the work was done. If Christ has not been raised, your faith is futile; you are still in your sins. Then those also who have fallen asleep in Christ are lost. If only for this life we have hope in Christ, we are of all people most to be pitied. Why are we to be “pitied” if there is no end-time resurrection? Because the church then becomes the bride left at the altar with no groom and no future! The promise that our suffering and struggles in this life can be faced with hope and with expectation because “our present sufferings are not worth comparing with the glory that will be revealed in us” (Rom 8:18) is false and untrue without the resurrection. Easter is a reminder that this story that we have committed to is true. Christ the Lord is risen! 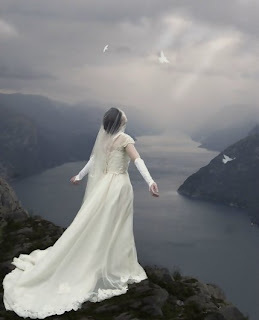 And one day, the bridegroom will come back for His bride!